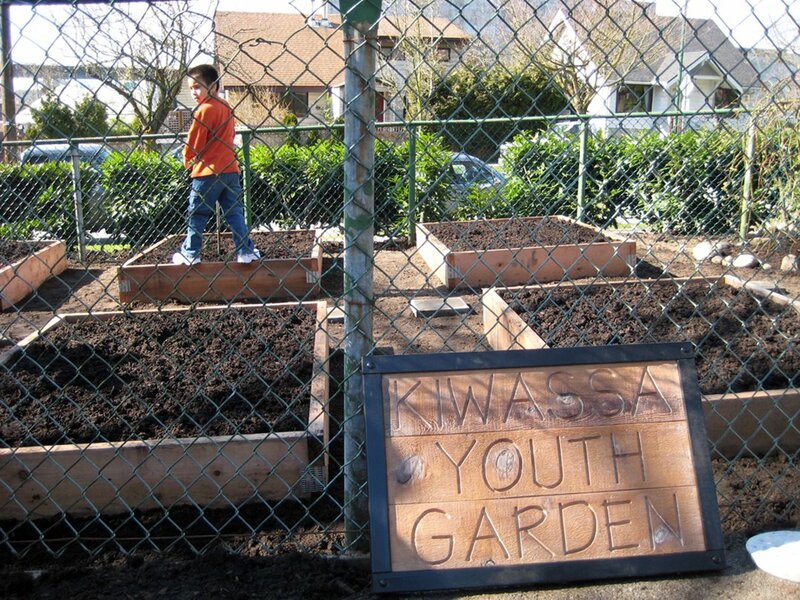 >The Kiwassa Youth Garden is located at Chimo Terrace, a BC Housing site on Wall Street. 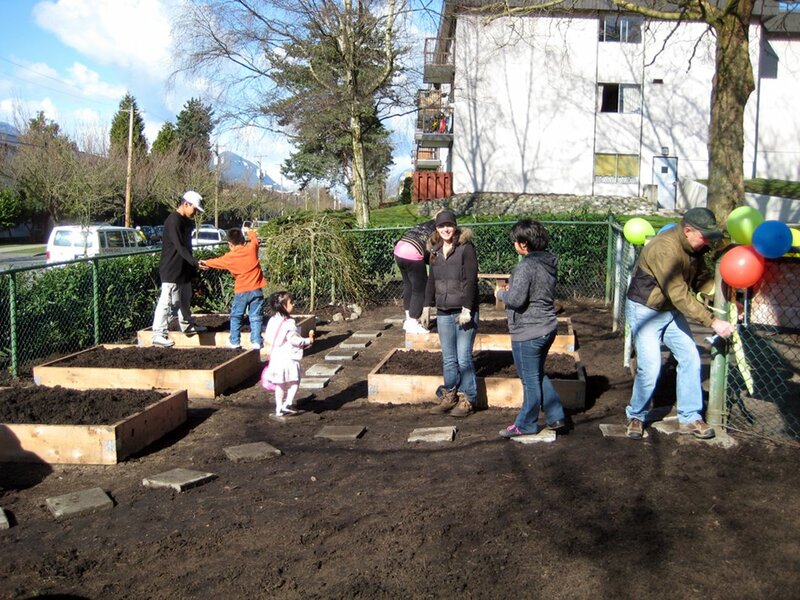 A unique collaboration including BC Housing and the People, Plants and Homes Program, Kiwassa Neighbourhood House, who operate an after school care program at Chimo, The City of Vancouver GreenStreets program (the garden is actually on City land), The City of Vancouver Food Policy Office, which provided start up funds for the garden, the Environmental Youth Alliance, who will help to support the garden through hands on garden workshops, and ourselves the Grandview Woodlands Food Connection as project facilitators, all helped to establish the Garden. 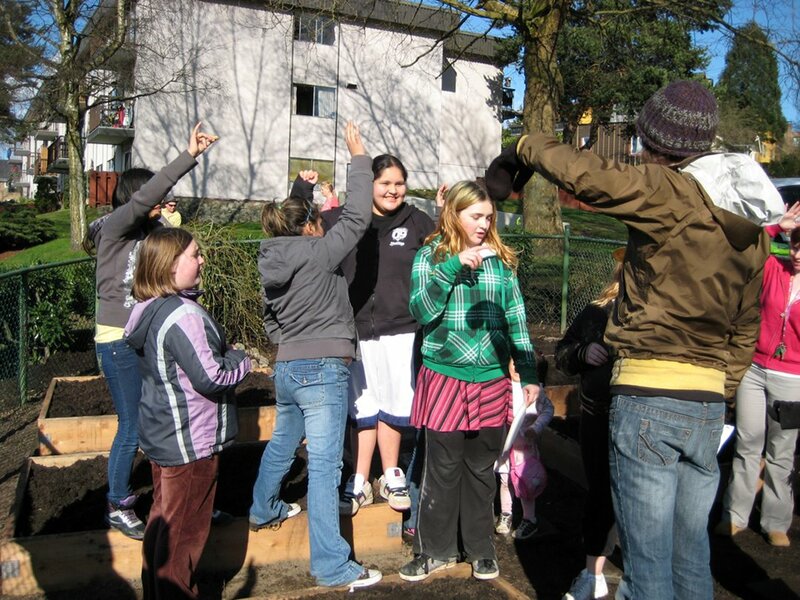 Many teen and younger children live at Chimo Terrace and it was decided that the garden would be a communal children and youth garden. Five different programs will be involved in the garden. The site may have originally been a playground. More recently, attempts to create a garden are evident though we found the site to be largely overgrown and littered with garbage. It seemed like a great opportunity to revive the garden. 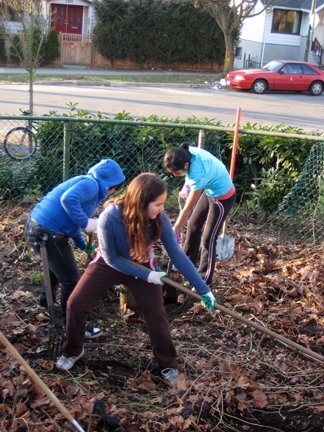 In mid February we organized a cleanup. 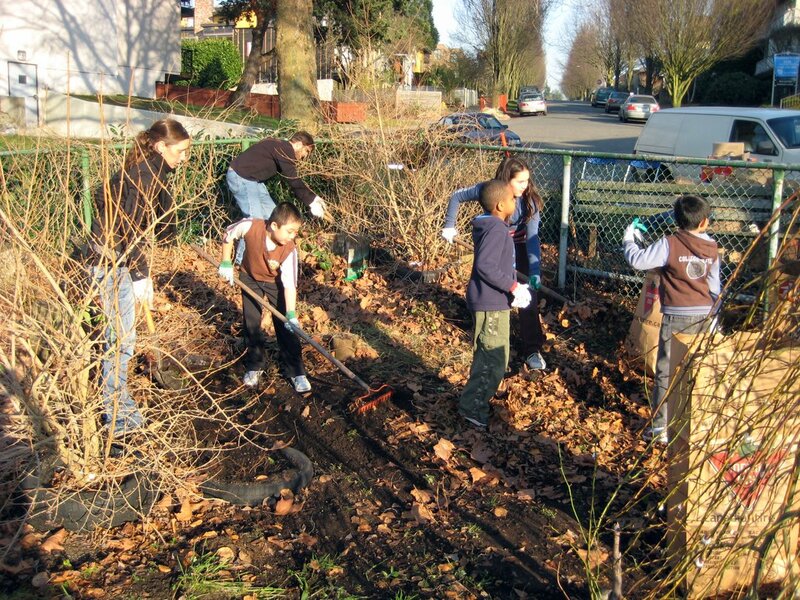 About 15 youth and children came out to help along with a few older volunteers. 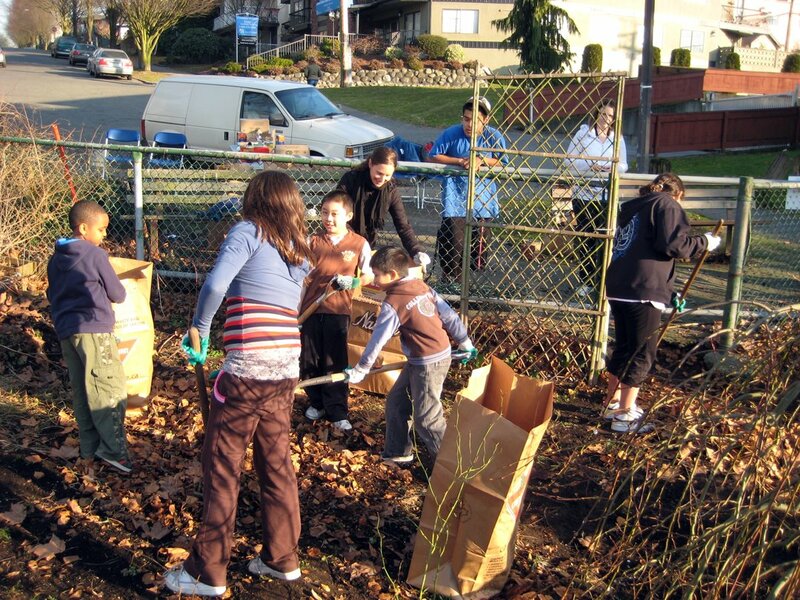 The City provided support to haul away the yard waste. The site was cleared and ready for boxes. 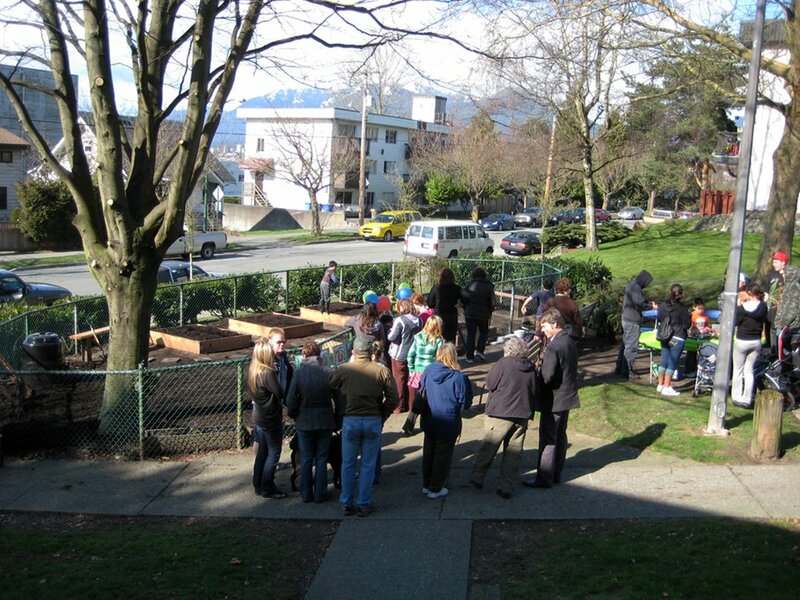 5 boxes were built, a few benches made, and compost and soil was spread out in preparation for our opening ceremony. Cease Wyss from the Squamish Nation was invited to bless the garden. 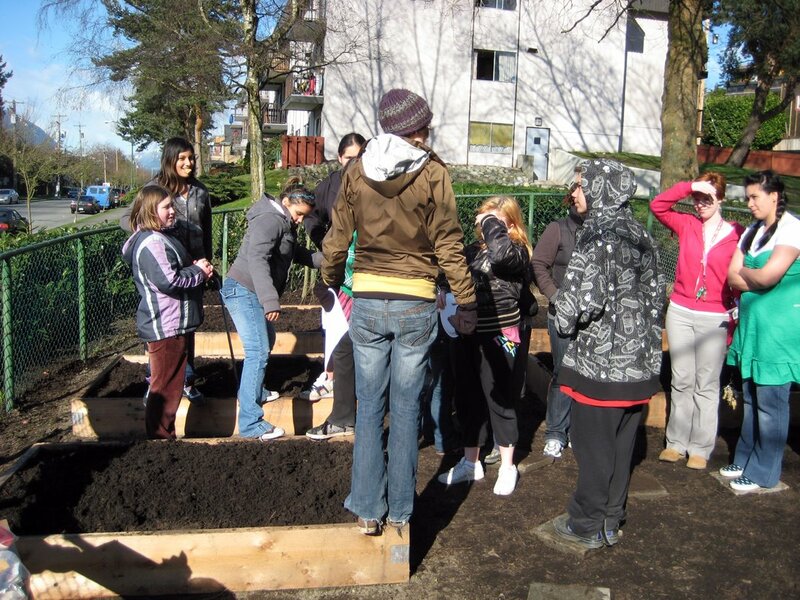 Liz from the Environmental Youth Alliance led a short discussion and planting with some of the youth. The youth are very excited about the garden and have already been working on some birdhouses and mosaic stepping stones. It is an exciting project and we all look forward to see how the garden grows. >Nice PR. Unfortunately, it doesn't reflect the reality.First, I have photos of the heaps of garbage some friends and I removed from the site. We finally embarrassed the city to come and pick it up by alerting the Vancouver Sun to the eyesore. What two people removed far exceeded what remained for the happy group of children shown in the photos.Once the boards were banged together and the garden planted, that was the end of it. The only "children" who spent any time there were teens who used the protection of the ugly, unneeded fence to conceal their drinking and crack smoking. 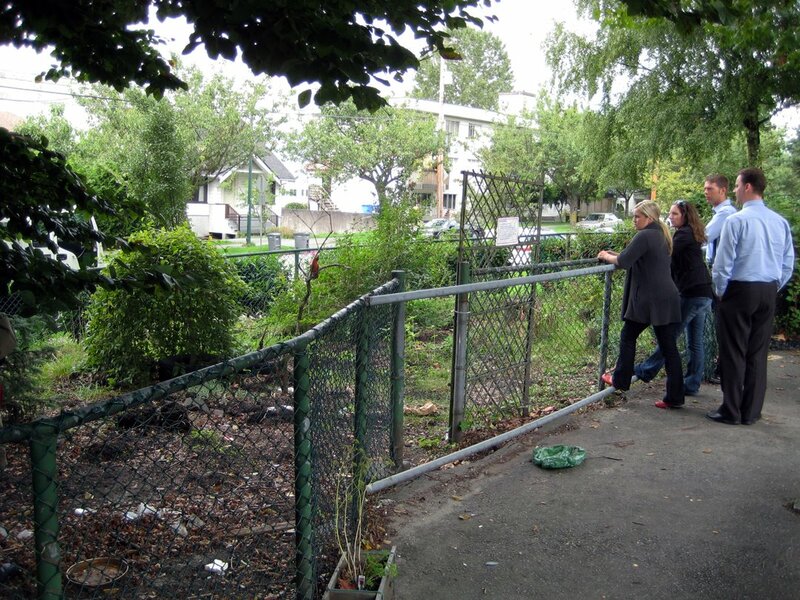 Neither BC Housing nor C of V was willing to deal with the fence because removing it would have cost a heck of a lot more than a few boards and earth – with less PR value.Weeding was non-existent. By summer's end, the place was once again an overgrown mess. Got pictures of that too. Sorry to rain on your warm and fuzzy, but facts are facts.